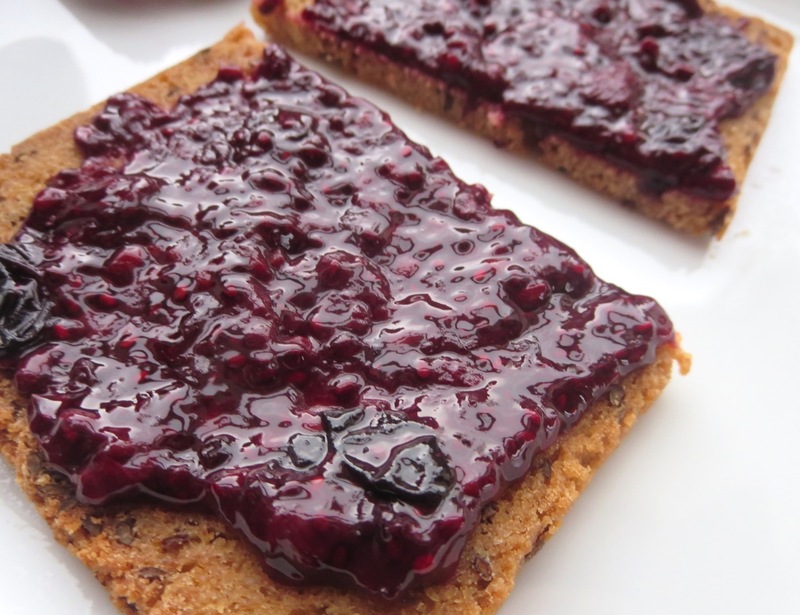 What's more simple and delicious than a piece of yummy toast with sweet, fruity jam? It's always been one of my go-to comfort breakfasts or a snack on a cold day. The combination of crunchy, organic toast with fresh jam is so satisifying and it makes my tummy feel super happy. Unfortunately shop-bought jams are loaded with nasties such as sugar, preservatives, artificial ingredients or pectin so they aren't good for our body. The good news is making your own healthy jam is so super easy and tastes even more delicious than anything you could buy from the local shop! 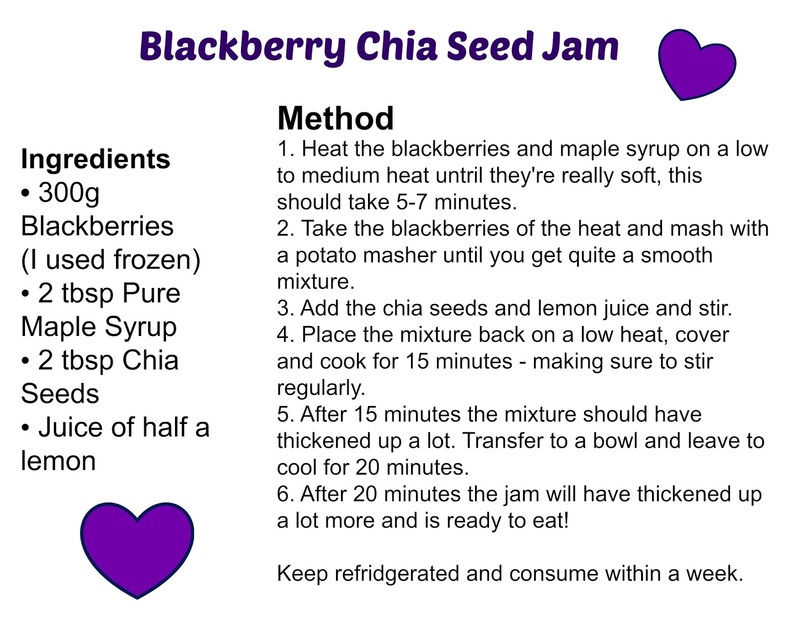 The jam texture is created by the wonderful chia seeds which soak up liquid amazingly and create an amazing gelling power, it's pretty cool! The sweetness comes from the berries, as well as the pure maple syrup that I decided to add which creates the most rich sweetness and isn't bad for us if we make sure to use the pure, raw version that's 100% natural. Then you've got the added zestiness of the lemon juice which also acts as a preservative. As well as tasting super delicious this jam is packed full of goodness! Blackberries have one of the highest antioxidant levels of all fruits which means they help reverse damage done in our body, protect us and even slow down signs of ageing. Blackberries are also packed full of vitamin C and bioflavonoids. Chia seeds are a well known super food and their popularity is growing and growing, unsurprisingly really as these tiny little seeds pack in so much nutritional power. Chia seeds are the highest plant based source of omega-3 fatty acids - essential for keeping your heart healthy, lowing blood pressure and reducing your risk of heart disease, omega-3 is also great for the brain and a wonderful 'happy food'. They're also brimming with fibre, protein and iron which is all going to help eliminate toxins from the body, boost your metabolism, keep your skin glowing and your hair healthy. You can get 10% off my favourite superfoods at Creative Nature by using the code AMELIA10 at checkout! So now you see, sweet yummy jam can be healthy! 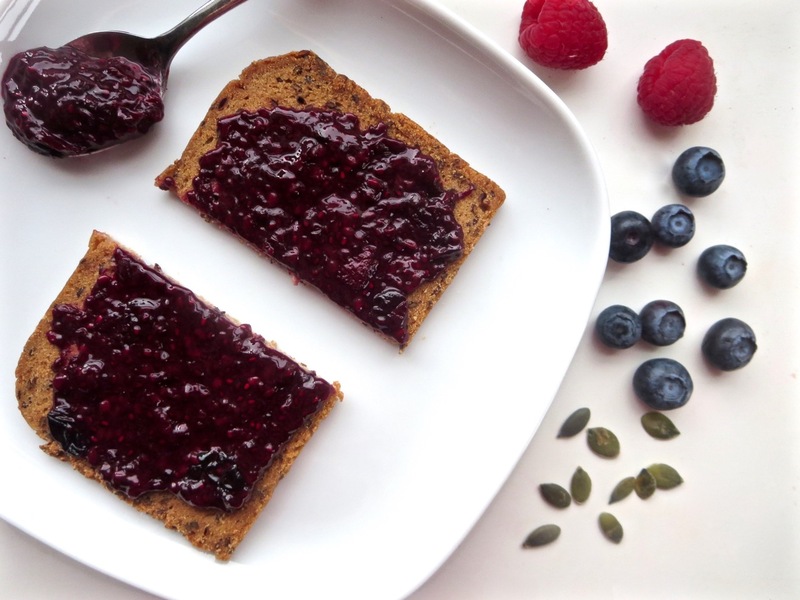 I love to spread my blackberry jam on organic millet or buckwheat bread from biona, dollop some on top of my porridge or enjoy with a brown rice cake.